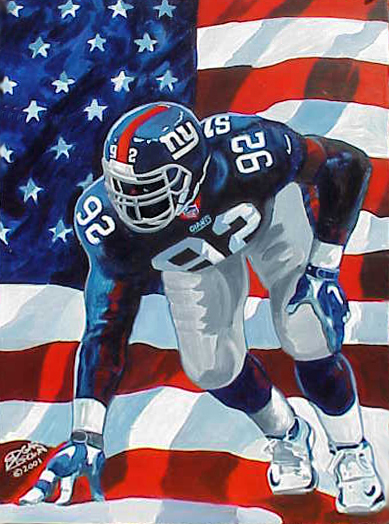 United We Sack is a poignant NFL painting of defensive end Michael Strahan of the New York Giants that was painted just after 9/11. 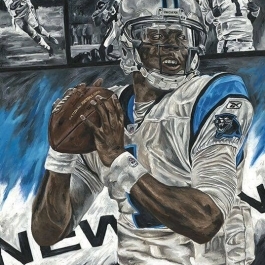 The NFL is truly America’s Game and this piece of NFL art is not just sports wall art but is a remembrance of the strength of the NFL and resilience of our country. 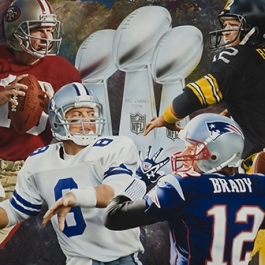 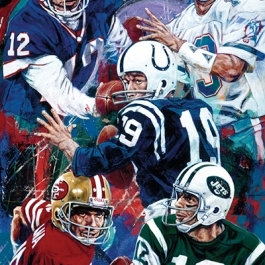 …a great addition to any man cave or sports art collector’s favorite piece of NFL memorabilia. 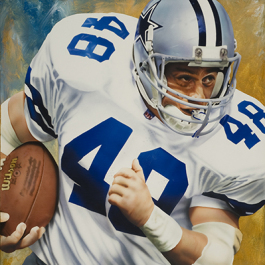 This original football painting is one of three by artist Edgar Brown that hangs in Michael Strahan’s private collection.